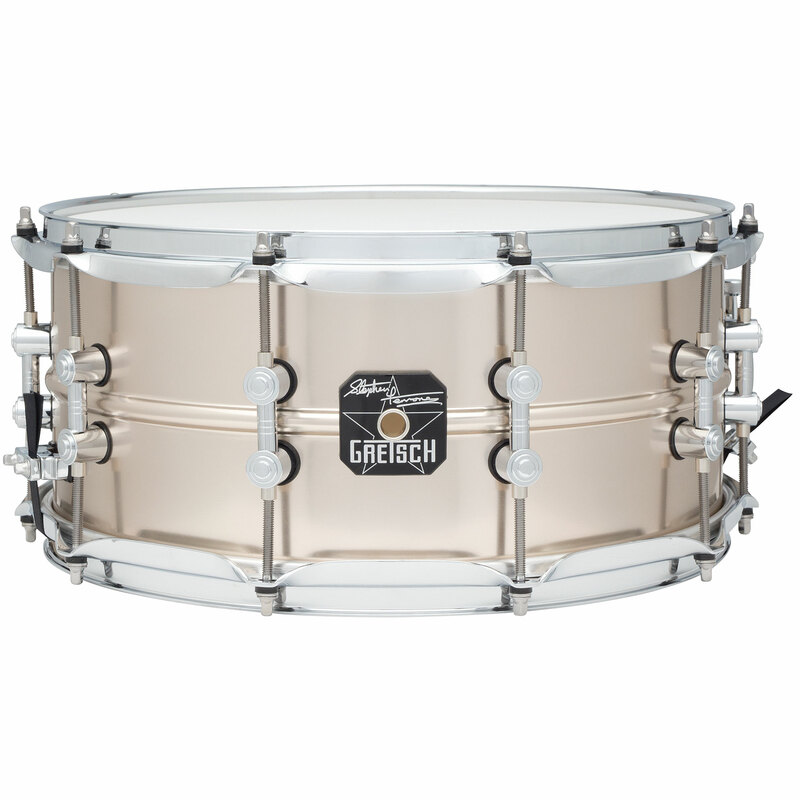 The Stephen Ferrone snare features a 6.5"x14" beaded, seamless aluminum shell that is plated in a satin titanium finish. 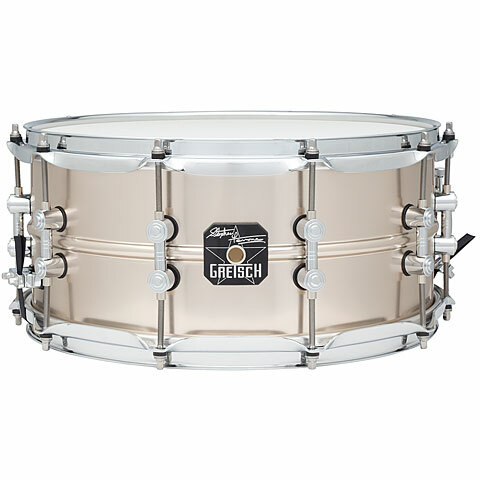 The 2.3mm triple-flanged hoops and adjustable throw-off are finished in triple-chrome plating as are the new Gretsch tube lugs. Developed in conjunction with Stephen Ferrone, the seamless aluminum shell produces a dry, focused sound with slightly muted overtones. 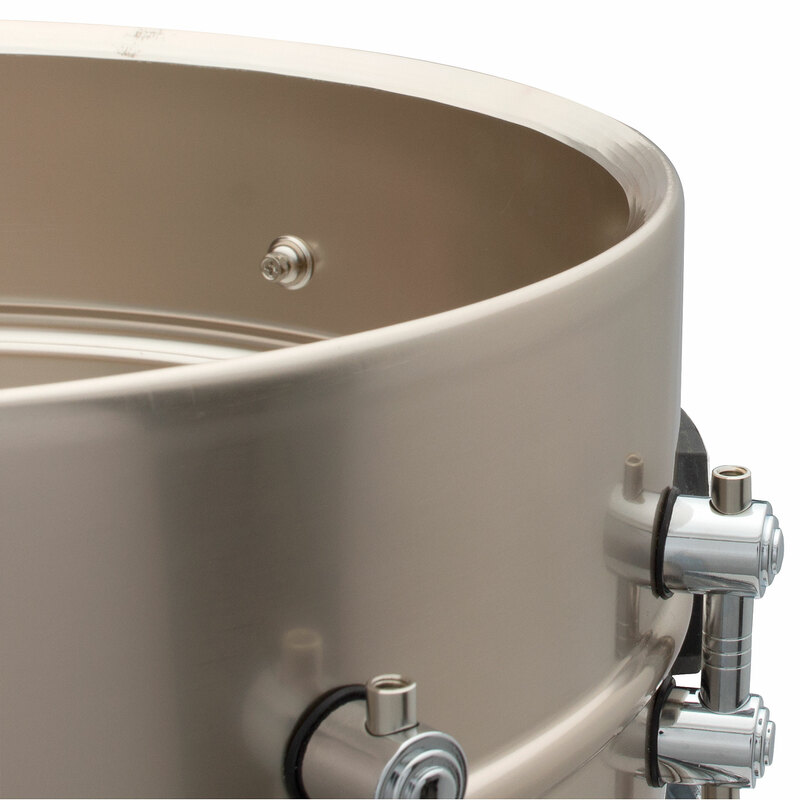 The thin shell and triple-flanged hoops allow the drum to open up and to also create the volume needed for any musical scenario. 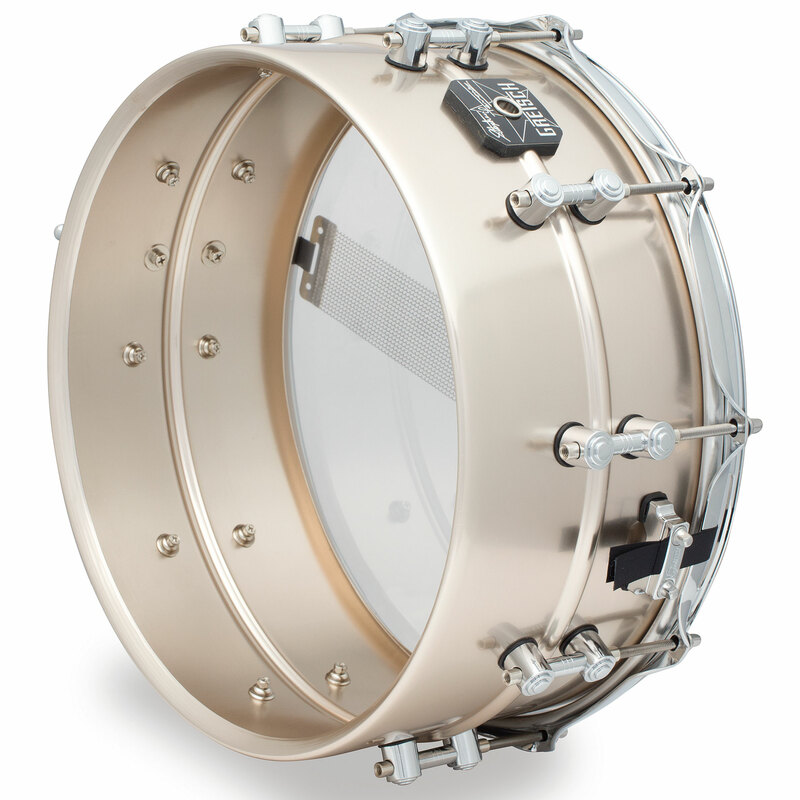 Twenty-strand snare wires, Remo® drumheads and signature Stephen Ferrone "Star" badge complete this unique snare. 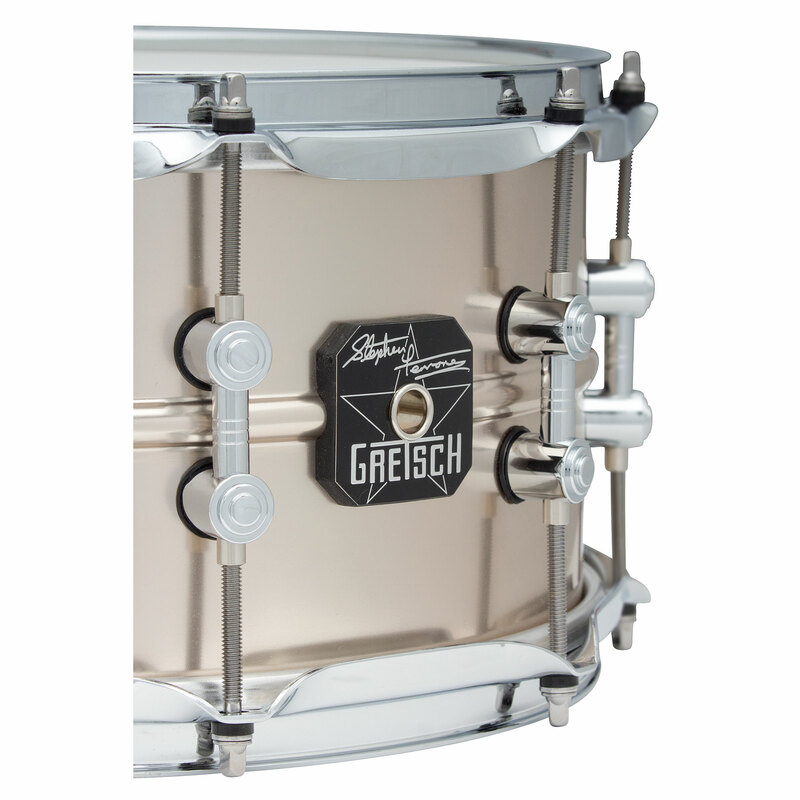 Die Gretsch - Signature Serie umfaßt Gitarren und Drums, die nach den Vorgaben bekannter Musiker gefertigt werden. ab 18,37 € mtl. bei 24 Raten. ab 8,83 € mtl. bei 72 Raten.